There have been many extraordinary singers in Telugu, but nobody has the status of ‘A legendary singer’ except Sripathi Panditharadhyula Balasubramanyam or S.P.B as everyone fondly calls him. Ghantasala was the last person to be regarded as such and from then, till now S.P.Balu is the only one to ascend the throne, and still there is none to replace him. Such is his value in not only Telugu but the whole Indian music industry. At 70 years of age, he is still as active and sounds fresh as the time he took up singing, doing musical reality shows, performing in several countries, recording some brilliant tracks. 1. He enrolled in JNTU, Anantapur to become an engineer, but had to drop out because of Thyphoid. He later joined Associate Member of Institution of Engineers, Chennai. With a passion in music, he used to perform at various music shows and competitions and one of the competition which he won, was judged by S.P.Kodandapani and Ghantasala, where finally Kodandapani became his mentor. 2. S.P.B used to head a music troupe, with Anirutta on harmonium, his friend and later Maestro Ilayaraja on guitars and percussion, Ilayaraja’s brothers Bhaskar on percussions, and Gangai Amaran on guitars. This association with Ilayaraja continued for a long time as he turned into maverick composer later on. S.P.B got launched in film music in December 1966 with Sri Sri Maryada Ramanna under his mentor Kodandapani. Soon then he debuted into Kannada, Tamil and Malayalam respectively. 3. He has a unique record of singing most number of songs in a day. That is 21 songs in the span of 12 hours for Kannada composer Upendra Kumar, 19 songs a day in Tamil and 16 songs a day in Hindi. He said he used to sing around 15 songs for Anand Milind in Hindi and then come back to Chennai by night. With an average of 930 songs a year or 2.5 songs a day, S.P.B has sung around 40,000 songs, which is a Guinness world record probably unbeatable by anyone in the world ever. He has sung in various Indian languages including a tribal language Gond. He has sung over 200 film and private albums. 4. He has won six national awards, most by any singer over four languages. Three in Telugu for Sagara Sangamam, Rudraveena and Shankarabharanam, One in Hindi for Ek Duje Ke Liye, One in Tamil for Minsara Kanavu and One in Kannada for Sangeetha Sagara Ganagoyi Panchakshara Gavai. 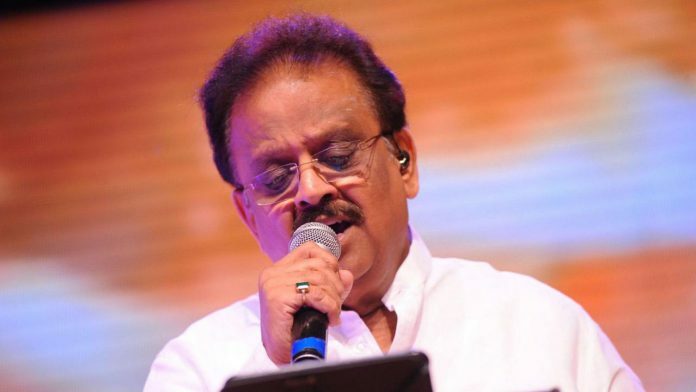 Though not classically training, he has sung outstandingly for K.Viswanath’s Shankarabharanam under K.V.Mahadevan. That was one of the greatest soundtracks ever recorded in Telugu music. 5. He is the singer to have recorded most number of songs for A.R.Rahman. From his first film, ARR has been collaborating with SPB in many films, and SPB got his first Tamil national award under his composition. He has worked as a music director for 46 films in four different languages which includes Tamil, Telugu, Kannada and Hindi. Some of his notable works as a music composer in Telugu includes Padamati Sandhyaragam and Thurpu Velle Railu.